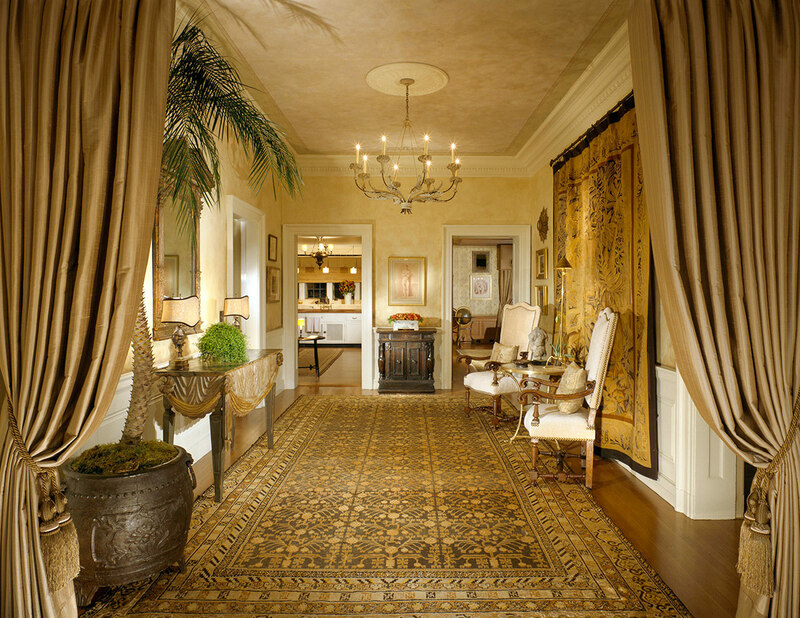 Hall - This project won 1st PLACE in the 2008 ASID/LA – EXCELLENCE IN DESIGN COMPETITION for SHOWCASE HOUSE. The walls and ceiling are hand painted and distressed. The antiques range from the 17th through the 19th century. Study - The walls are covered in hand painted canvas with a damask pattern. The antiques range from the 17th through the 19th century. 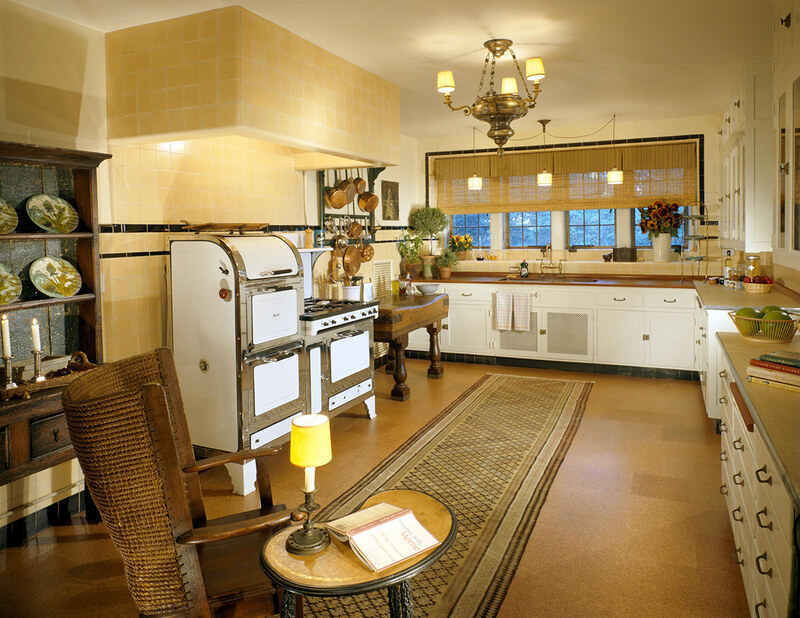 Kitchen - We completely restored this kitchen to keep it looking just like it did in the 1920's. The antique stove has been retrofitted to work great in today's day and age. On the floor are cork tiles, which are very good on the legs and back and help to avoid items from breaking should they fall off the counters. 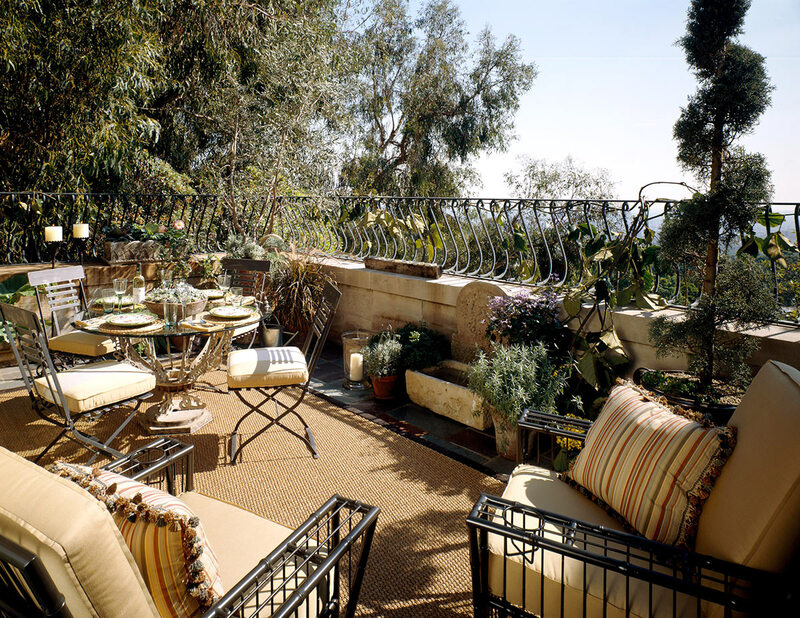 Dining Patio - A dining patio complete with a water fountain and a panoramic view of Beverly Hills.